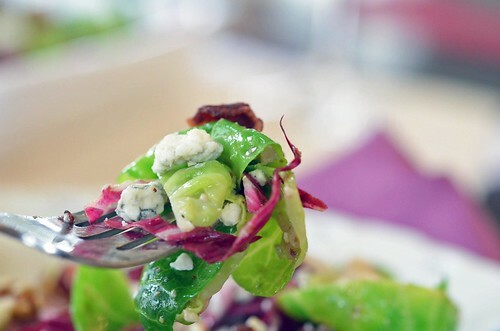 You are here: Home / All Recipes / Brussel Sprout and Radicchio Salad w/ Bacon Vinaigrette. 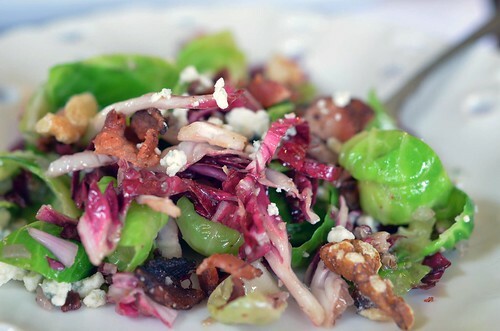 Brussel Sprout and Radicchio Salad w/ Bacon Vinaigrette. Facts…well, facts in my little world. 1. I just worked rocked out nine 10-hour overnight shifts…this caused me to sleep A LOT last week. Hint, no blog last week. I slept. And then I slept some more. It was for the best. 2) Fact, I wish I didn’t have to sleep. There is just too much to see and do in our short lifetimes to be spending at least 6 hours of each day resting our eyes. Argh, sleep. 3) I made cake balls last week ( just because I didn’t blog, doesn’t mean I didn’t bake). I now understand the cake ball/pop craze….those things are crazy good. 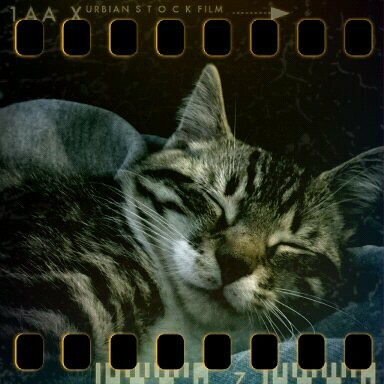 4) Fact, Stanley is growing like a weed. Plus, my pony tail is an adequate toy to be swatted about. Glad I spent money on legit cat toys…who knew I had one growing from my own head this whole time. 6) Fact, bacon becomes super healthy if you combine it with vegetables. Swear. You will see later. Promise. 7) I bought Great Lakes Christmas Ale today. It is in the fridge (next to the extra bacon). Dinner…beer, and maybe bacon. Life is good. 8) I have this crazy urge to put up my Christmas tree this week. Is it too soon? I don’t think so. I don’t want it to be. I love Christmas. I even bought a Christmas mug today. Suppose Stanley would look good in a Santa’s hat? I have Christmas on the brain. 9) Fact, I adore Mark Harmon. Go ahead, laugh. You know you like him too. 10) Fact, I once ate enough carrots to turn myself orange. I might be on my way there again. It is true. There you have it, ten little insights into my world. Let’s chat about #6. Bacon! You know that commercial where the dog is running around like a nut job, talking human, which dogs can’t do (huge bummer), where he is screaming ‘ BEGGIN STRIPS!! !’, which is meant to be heard as ‘BACON STRIPS!! !’ to us humans. Is it strange I feel like doing the same thing when I am cooking with bacon? Is it strange that I cooked a whole pound of bacon today and will ‘snack’ on the remaining bacon slices until zero remain, which will be sooner than I would like to admit. Is it strange that I whole-heartedly believe that when I combine bacon with vegetables, it becomes super healthy? Hmmm…. 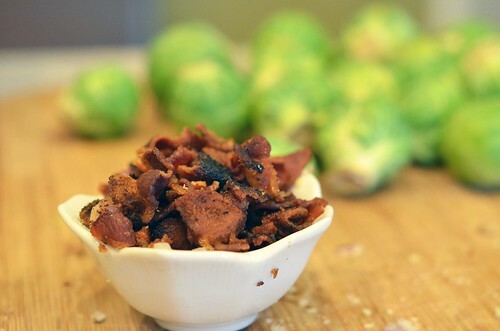 Today, I used brussel sprouts and radicchio to make bacon healthy. A brussel sprout radicchio salad to be exact. It is ridiculous and would be great for any fall dinner or say that one big fall dinner coming up soon. Ya know…Thanksgiving. Did you know it is only two weeks from Thursday? Holy Turkey Batman! Crazy how time just keeps on flying by. Let’s make a salad yo. 3 Tbsp Bacon Fat – yeah bacon fat. 6 Slices Bacon, cooked. (reserve bacon fat for dressing). Roughly chopped. Cook bacon until crispy. Place bacon on a paper towel lined plate to drain. Reserve 3 tablespoonful bacon grease. When bacon is cool enough to handle, roughly chop 6 slices and set aside. Meanwhile, blanch brussel sprout leaves in boiling water for 30 seconds. Remove from boiling water and place directly in an ice water bath. Drain and dry with either a salad spinner or a kitchen towel. When completely dry toss with thinly sliced radicchio. Set aside. Prepare vinaigrette. Heat bacon grease and olive oil in a small saucepan over medium-low heat. Add minced shallots and crushed walnuts. Cook until shallots are tender. Whisk in the Dijon mustard, vinegar, and sugar. Remove from heat. Season with salt and pepper to taste. 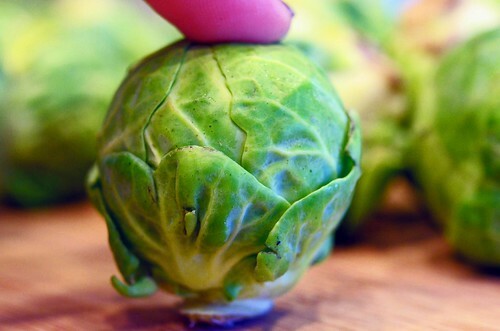 Pour salad dressing over brussel sprouts and radicchio and toss to combine. 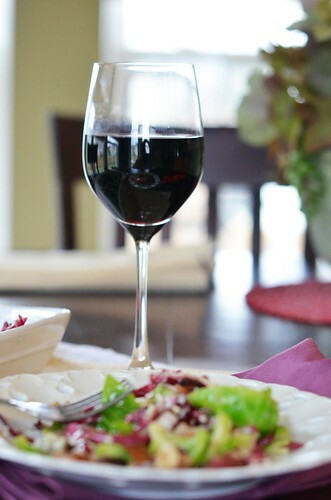 Top salad with gorgonzola cheese and chopped bacon. Serve immediately.